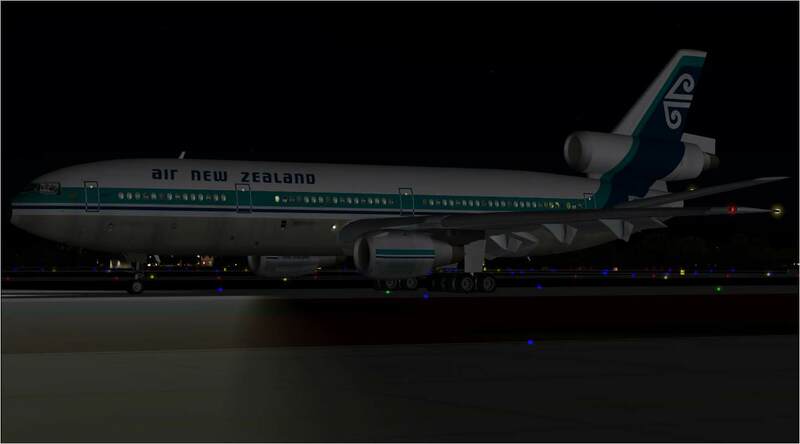 NZFF • "NEW" HJG DC-10 Project - "RELEASED"
Re: "NEW" HJG DC-10 Project - "RELEASED"
"KIWI MAGIC (Air NZ DC-8´s) - The Final Story"
All continuing to go to plan .... further HJG website updates are planned for this month .... along with a few "surprises" intended for December/Christmas release also. Last edited by aerofoto on Sun Sep 23, 2018 12:48 pm, edited 2 times in total. Possibly something worth considering as it is all P3D, X-plane or AF2 going forward. There´s probably nothing we´d like to be able to do more "COWPATZ", but (and like is also our case in regard to requests for VC panels too), for us/HJG it´s something that´s easier said than done. 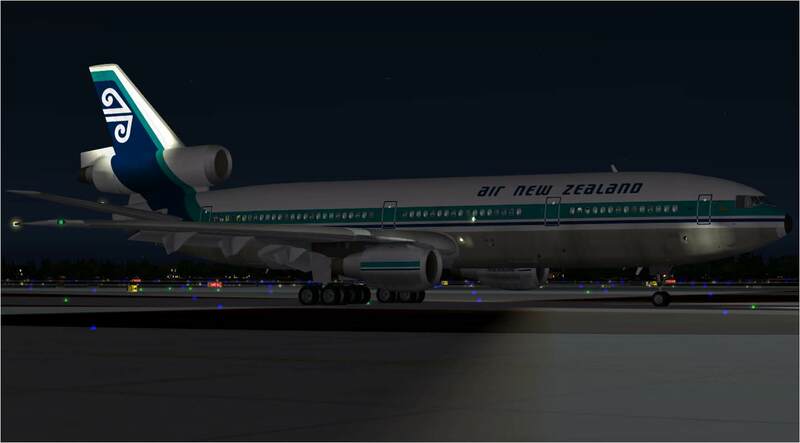 Although long established (18 years service to the FS community this year and which has seen HJG progress from FS2000 .... to FS2002 .... and to its current FS2004 and FSX platforms) .... and despite being quite highly regard too, by some, HJG´s really "just a small group" composed of a 5-man development team (gauges, sounds, physics experts and a historian/technical adviser/co-odinator) along with a few texture artists too. 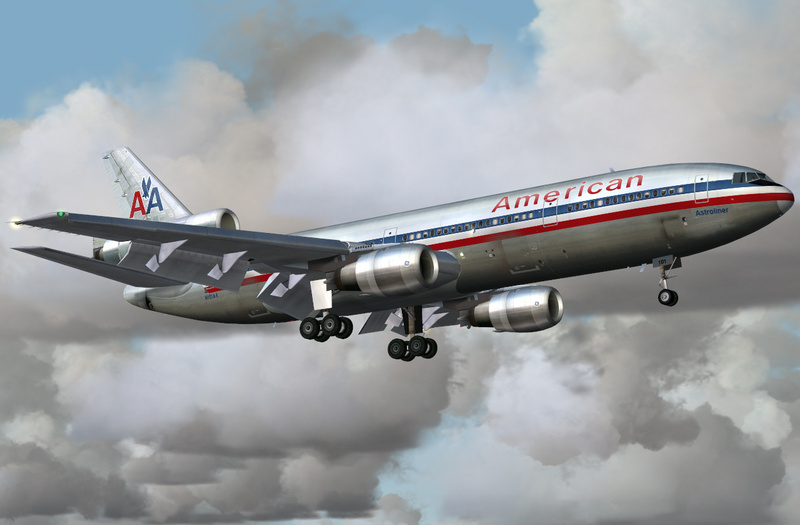 It´s as much as we can all do to hold HJG together and develop for the FS platforms we currently represent .... FS2004 and FSX. 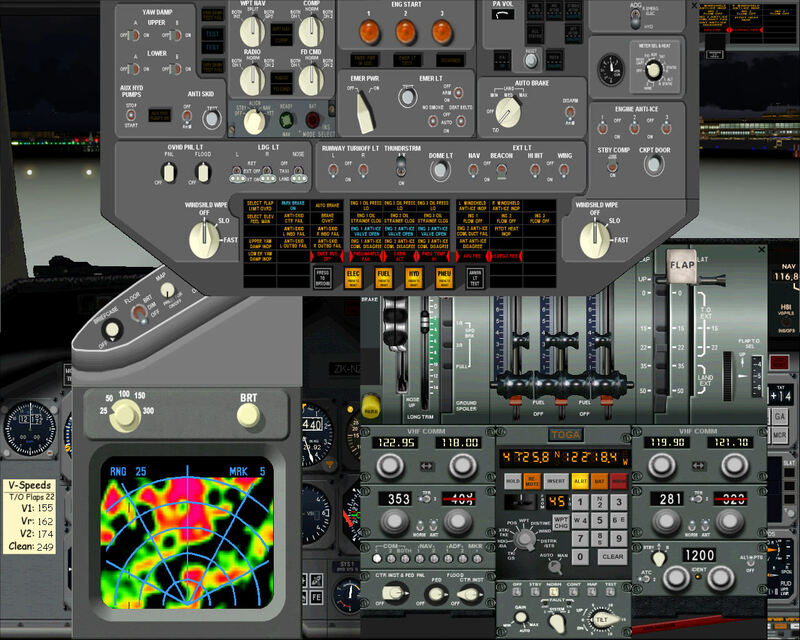 One of the reasons why HJG´s simulations are probably quite highly regarded is because of the effort we apply into the way we try to represent everything .... by not just representing an aircraft type, but rather, representing each of the sub types of any aircraft type we represent .... and which then feature all of the appropriate technical, panel/gauge, audio, and flight dynanics cutomization necessary (typically aided by real world AOM data) .... in so far as certain FS limitations allow this to be implemented. 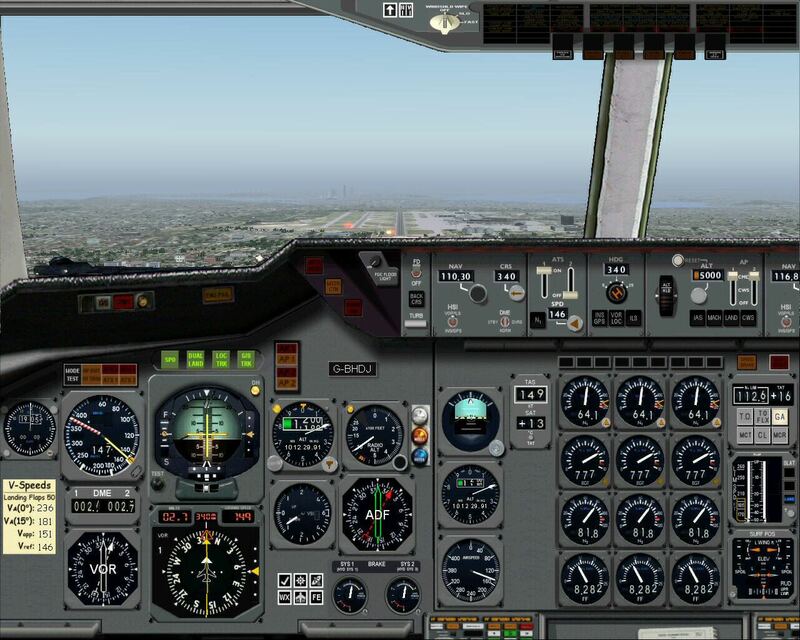 Doing things this way results in both a lot of performance visual variation/s .... as should be the case, but, which often isn´t evident in regard to a lot of other freeware and commercial simulations available today. One of the prime reasons why this´s all been possible for HJG, to date, is because our development team "know and understand well" the aircraft types we represent .... and seek to try´n represent them as authentically as is practical. This variation .... "panel/gauge-wise in particular" .... is one of the reasons why it´s not so practical for us to provide much covetted VC type panels .... simply because in order to do this "properly" we´d need to develop a different/separate VC panel configuration for every aircraft type 2D panel so far represented by us .... and which "isn´t so easy". 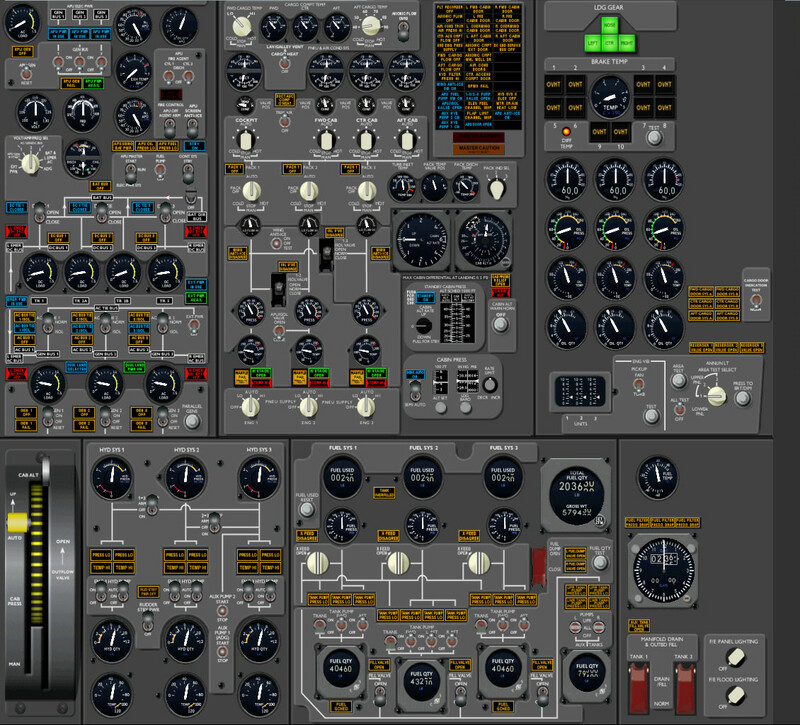 A move toward either P3D or X-PLANE requires skills an energy resources which HJG doesn´t currently possess. It´s one thing for people to want (and HJG "IS" appreciative of peoples hopes of course), but, it´s often an entire different thing again for groups and individuals (lik us) to "be able to deliver" accordingly. Last edited by aerofoto on Sun Sep 23, 2018 12:52 pm, edited 1 time in total. Thanks for the comprehensive reply Mark. 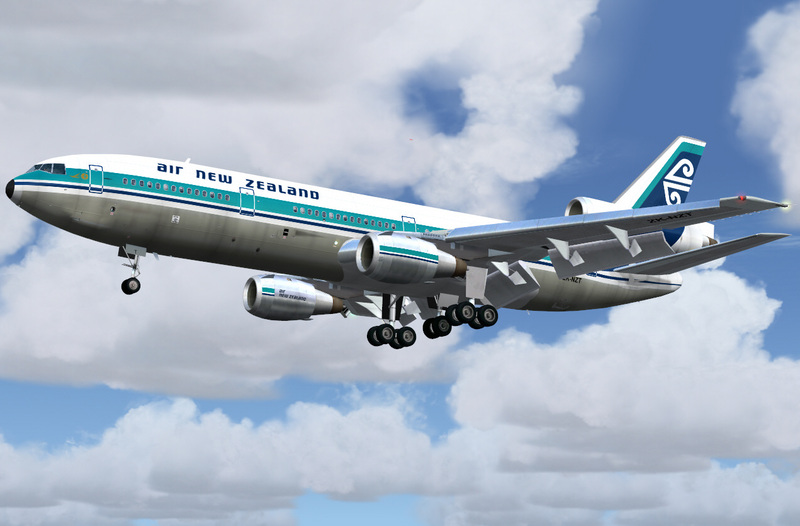 I have enjoyed many an aircraft from HJG back when I was using FS2004. I am a 2D panel man so the lack of a VC wasn't so much of an issue for me. 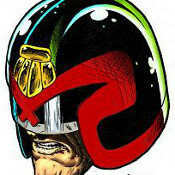 I can see as time progresses that there will be a real lack of quality freeware developed. 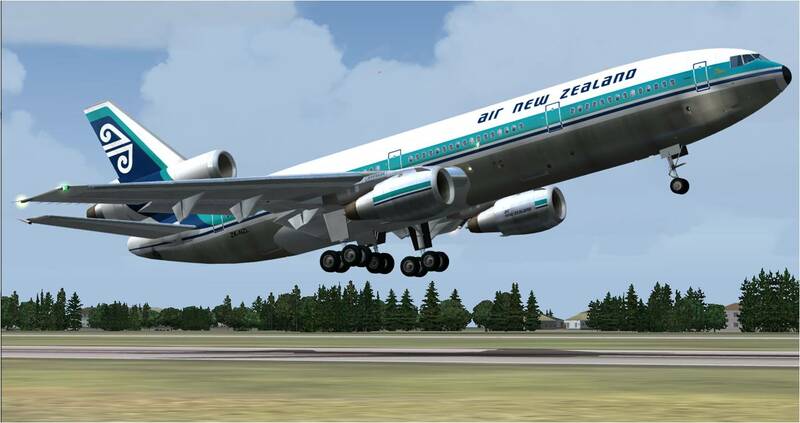 Just look at what was produced for FS2004 then FSX and now P3D. 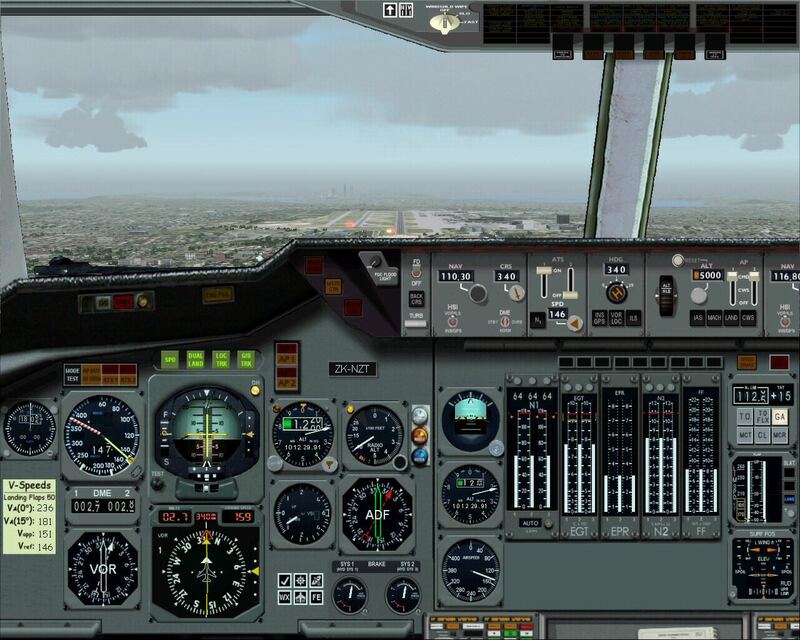 Check out the AVSIM library and there is practically zero P3D freeware available. The CBFS group seem to be at the same crossroad as HJG. The quality and features of currently produced payware is just so good, that apart from the odd exception, freeware developers simply cannot compete. They probably lack (or don't want to learn) the current required modeling skills, time or the resources required to produce similar aircraft....the bar is very high. It is a shame but hopefully tool kits will be developed to make it easier but only time will tell with that. As long as you enjoy it then, as with most things in life, keep doing what you're doing and when you no longer do then it's probably time to stop. It´s not that I don´t enjoy it (because I do obviously) .... it´s just that I wish I could "actually enjoy it"
I wish I could spend time to enjoy it all properly "like an end user". BUT .... the show must go on. 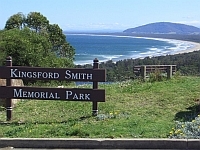 There are other projects to move and get out .... and my mission has been to ensure that these progress .... and that any issues which arise (and they do .... and have) are dealt with as smartly as we can. 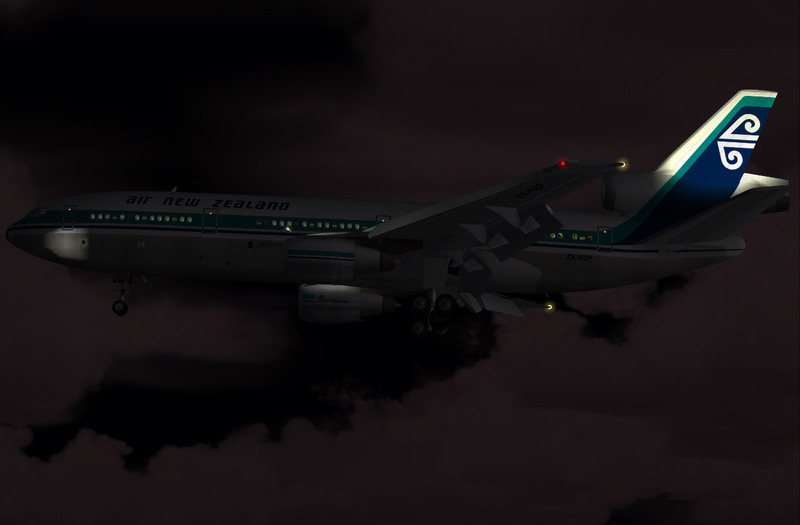 PLEASE NOTE: The absence of these cosmetic night lighting affects files "DOES NOT" impact flight performance, panel systems functionality, or audio fidelity in any way shape or form .... HOWEVER .... in the interests of providing a simulation that´s as fully featured "as we´re currently able to produce", this´s a detail that we want to rectify .... for the pleasure of everyones enjoyment of these simulations. Last edited by aerofoto on Fri Dec 21, 2018 8:01 pm, edited 2 times in total. Me: A good 2D panel is a lot of fun. Although we, at HJG, do get a lot of queries concerning the possibility of VC's for our simulations it´s something that .... for us .... and due to the way we desire to produce panels for our simulations .... is easier said than actually done. Although many of HJG's 2D panels may appear similar .... "at a glance" .... they're "not" in reality. The panel engine gauges in nearly every HJG supplied panel .... certainly our own panels (those for B707/720/C135, B727, CV-880, CV-990, DC-8, DC-9, DC-10, and L-1011 .... the rest aren't our own productions or remain unmodified as yet) are calibrated in accordance with known performance parameters for each aircraft/engine type (max EPR or N1 for specific altitude/temperature environments .... usually based on the FS defaul 15*C at SL ) .... in so far as this's practiceable due to certain limitations imposed by the FS host program. Not everything can be replicated of course, but, enough parameters can be .... and reliably enough too .... to justify our doing so ..... aided by some "very clever" FDE manipulation/s .... and which is why (aided by the aircraft base pack/panel recommendations stated within each of our manuals) it's "absolutely essential" to pair the correct aircraft base packs, panels, and sound packs with the simulations we offer. Failure to do this will normally result in some simulations then performing with either a lack of, or excess of, power .... and/or cause other issues such as audio problems. Other panels among those we offer also feature either different gauge/instrument standards and/or other period related layouts too. This's all easy to achieve in respect of 2D panels, but, if we were to produce VC type panels .... then .... we'd ultimately have to produce a separate VC for each individual aircraft type/panel/engine gauge configuration we currently represent (nothing irritates us more than a 1 panel fits all scenario because aviation and aircraft families simply aren't like that) .... "if this were to be done correctly/properly". However .... it's simply not practical for us to do it. For this reason we opt/prefer to offer authentic and far better than average 2D type panels only .... usually with a very high degree of functionality and performance too .... when these are paired with the correct/intended aircraft base packs/FDE's and supporting audio material too. The only simulations offered by HJG which currently feature VC type panels are those for the CONCORDE (by FSFT .... a by now very old VC) and the AMD MERCURE 100 (by Mario NORIEGA .... which is a very recent production and has just been further updated during the past week or so) .... but .... neither of which are HJG's own productions since we only host these simulations "by consent".